I am back with another try-on session. 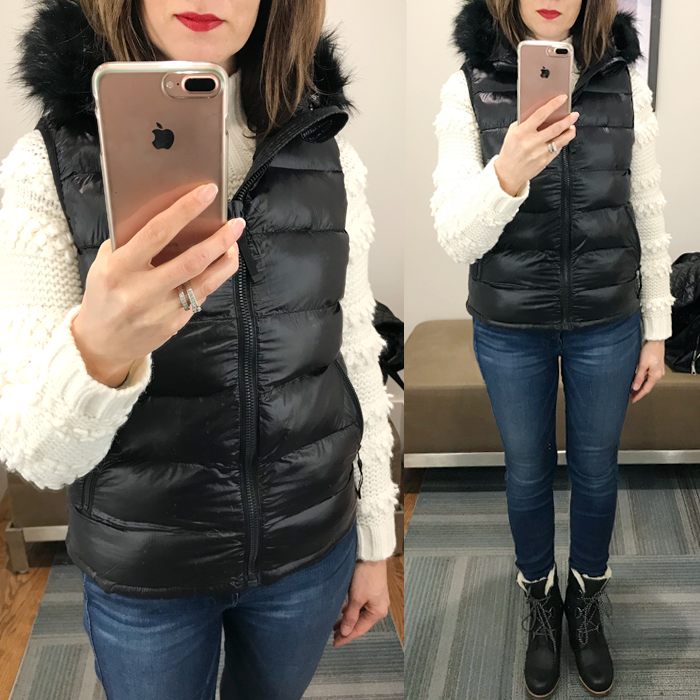 I love my fur trimmed puffer vest that I picked up for only $25. I cannot believe it was such a great price. I also really like these cozy sweaters. 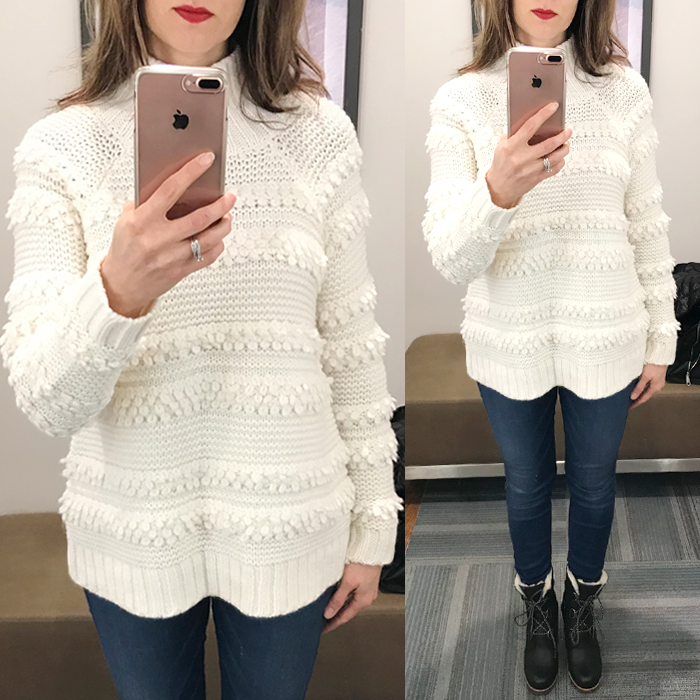 I actually own the snowbird one - and highly recommend it - and it's 50% off. Also, in all of these pictures I am wearing my new favorite booties. 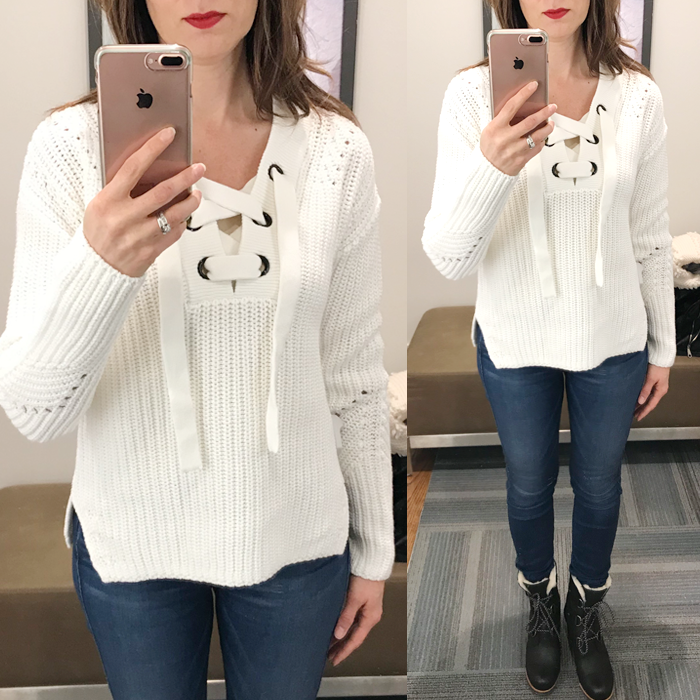 It snowed last week, so these were the perfect thing to wear - plus they are super comfy - from the first time I wore them! I do want to mention that I sized down a 1/2 size, from my normal size. Sometimes it is just too cold outside - and this is how I feel. To keep going in life - and fight through the struggles - this saying might apply to many of our lives. These pink fuzzy slippers are only $20 - and look comfy. This insulated parka with leopard faux fur lining is marked down to $30. How about these sequined culottes for a NYE party? They are under $40. These long disco-like earrings are a great way to transform a simple NYE outfit into a more glam look for only $18. This lace top is only $25 - and would look cute layered under this blush fur jacket. 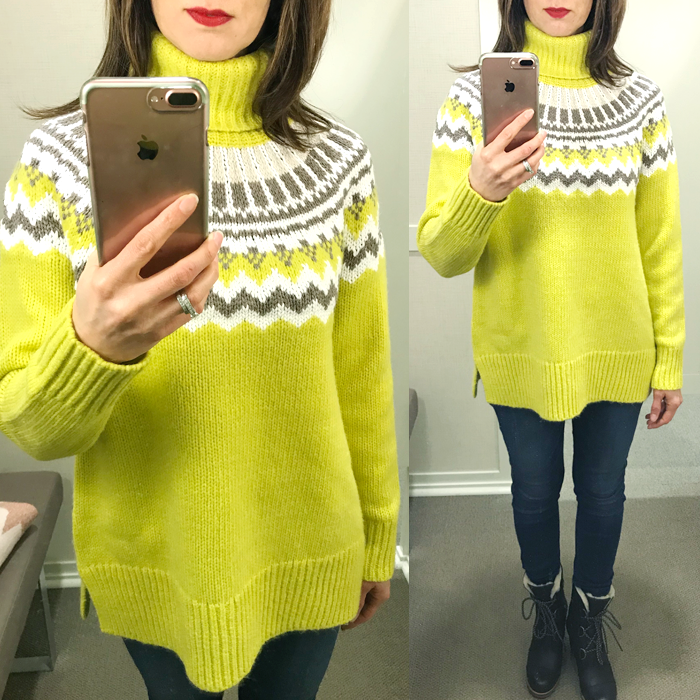 I love this sweater - it has retro feel to it - I think it’s the colors. 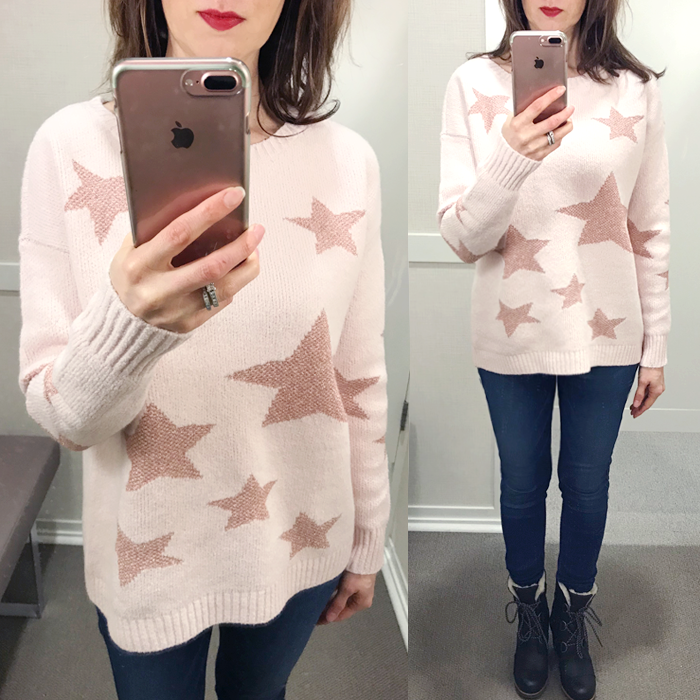 I found this rhinestone sweatshirt for under $35. I love the colors on this pom pom beanie. These leopard pouches for your handbag - would make a great stocking stuffer. in my try-on sessions - here, here, here, and here. So, of course I adore all your finds, but the yellow on you..oh my such gorgeousness!!! Have a wonderful Wednesday beautiful! I have been eyeing that snowbird sweater! It looks great on everyone. Love all of this. Love seeing YOU in the blog photos. All such great sweaters. These sweaters are all so cute. I love the stars sweater. I love all of these. Maybe that's why I shouldn't go shopping...ha ha!